• She's a wonderful singer. • A local singer belted out the national anthem. • I was just a lounge singer in a Key West bar. • Our wedding singers are the best in Las Vegas. • She will perform with two guest singers. • Singers took turns to perform songs they had written. The children sang two songs by Schubert at the school concert. We were woken early by the sound of the birds singing. Your grandmother would like you to sing for/to her. [+ two objects] Will you sing us a song/sing a song to us? She sang her baby to sleep every night. Pavarotti is singing Rodolfo (= singing the part of Rodolfo) in 'La Boheme' at La Scala this week. Please sing UK up/US out (= sing louder). Kiri Te Kanawa is a famous singer from New Zealand. 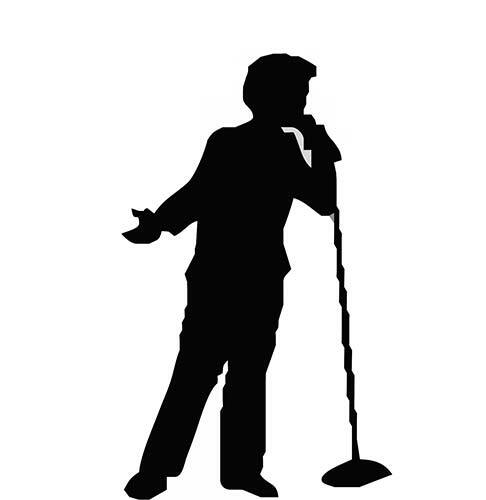 A singer is a person who sings, especially as a job. My mother was a singer in a dance band. ...Dame Joan Sutherland, one of the great opera singers of the century. • He is the lead singer in the band.